Grant Petersen Productions is a Quality Service that has 10 years experience and is growing. After DJ’ing over 200 weddings & at least 50 other kinds of parties… We know how much huge effort it takes to plan an event such as a wedding reception, party, or business function. You want your hard work to pay off. You want yourself and your guests to have a fun and memorable time. That’s where we come it! I believe it is my responsibility to help make your event fun and memorable Greatly. I accomplish this through great music selections, Confident & smooth MC skills, detailed planning, tasteful and timely interaction with your guests and much more. Grant Petersen Productions began back in Fall of 2002 with a private christian school dance in Cameron Park, CA. It multiplied from there every year with wedding celebrations & birthday parties. Two years into business Weddings became the focus of Attention. We value family friendly dances & are grateful for having the Honor to be a part of family celebrations, joining a couple with their families on their special day to remember for the rest of their lives together. With word of mouth referrals we started as a side business with only a few events per year. Ever since social networking (Facebook) advertising came into the picture in 2008 We are proud & thankful for the busy wedding season’s of at least 20 weddings per summer. 2011 was a new record of over 35 events just in the summer. With the large amounts of requests for our DJ services We have expanded & now have the equipment and a team to hire out our services to more than one venue per day. We are Growing! 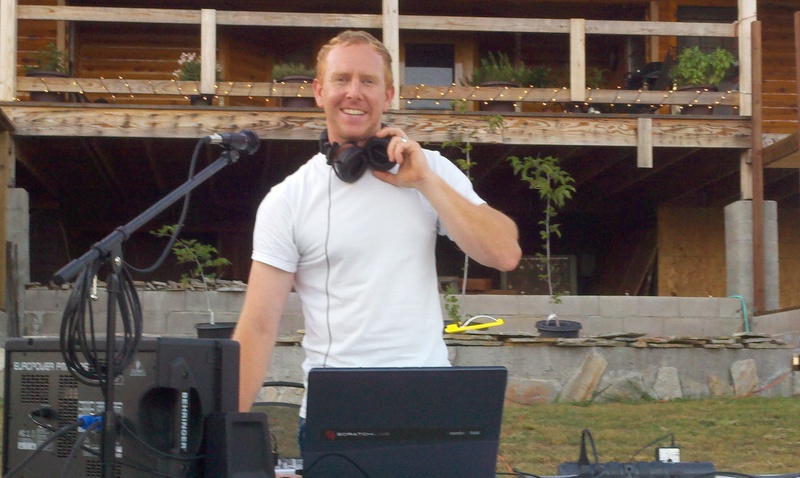 Grant DJ’d our wedding 8/6/11 in South Lake Tahoe…we loved him! He did such a wonderful job! He was very accommodating showed up on time, his price was VERY reasonable, he kept the wedding moving and played all the right music…and he even did the thriller and chicken dance w/ my guests :)…he was a very good sport! I highly recommend Grant for any of your events…I know you’ll be satisfied! Grant was the best MC/DJ I have seen in a long time! He kept my daughter’s wedding reception rolling and never once did we have to worry if he was going to announce something or play a special request or just keep the party rolling. He never failed us on his promise to make sure that there was never a dull moment!!! THANK YOU SO MUCH FOR MAKING OUR DAUGHTER’S DAY PERFECT!! !